Please enjoy this personal budgeting spreadsheet. It is designed to show you what your totals are, how close you are to meeting your budgetary goals, and how much you have left to spend. 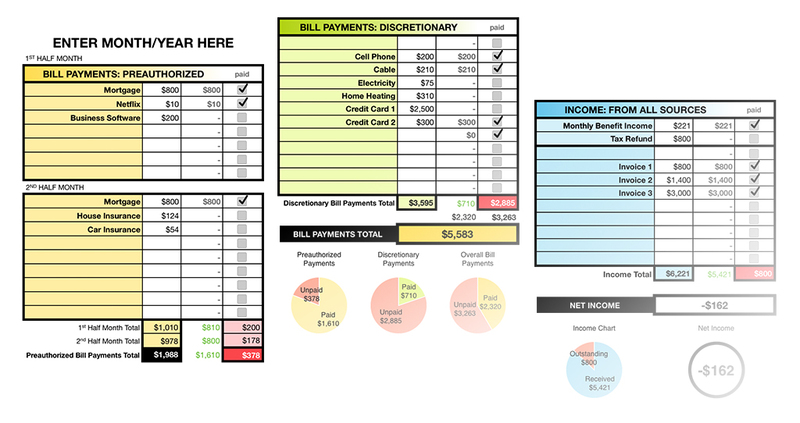 Customize any of the bill or income areas to your personal monthly spending, and see an updating chart of exactly what’s going on every month! While you are visiting Kate Cassidy Design, explore the site, and please take a moment to connect. This spreadsheet is in Apple Numbers format.